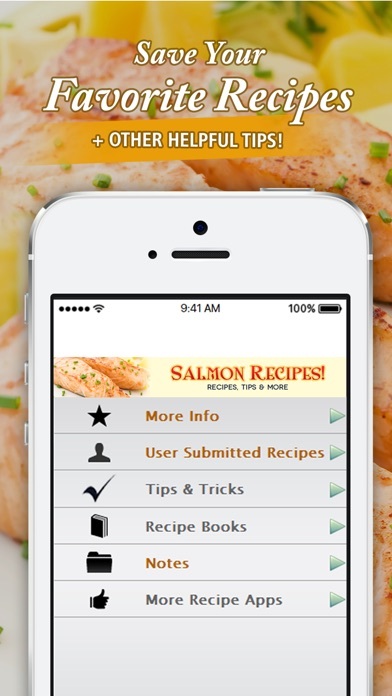 App Report for Salmon Recipes!! Food & Drink $0.99 No App Store 2016-10-22 NetSummit Enterprises, Inc.
Food & Drink $0.99 No NetSummit Enterprises, Inc. 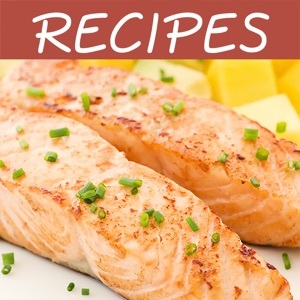 Looking for tasty and easy salmon recipes? YOU'VE GOT IT! Everything you need to make a fantastically delectable salmon dish is right here in this Salmon Recipes app! 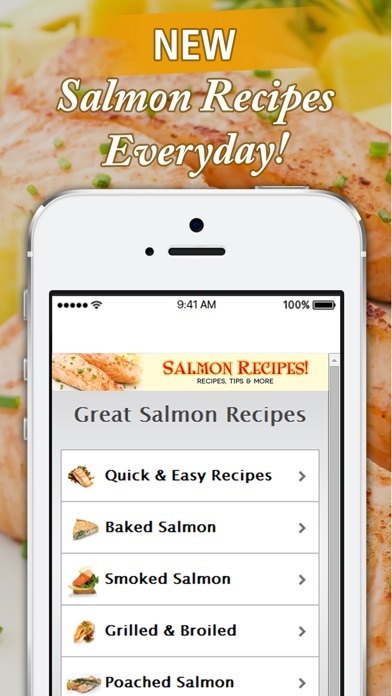 With this detailed and robust Salmon Recipes app, not only will you find over 150 recipes of the most savory Salmon presentations you'll ever see, but you'll also find the recipes are broken down into convenient categories to make it easier to find what you want. What kind of Salmon do you want tonight? From baked to smoked, grilled to poached, we've got it all. Looking for something particularly healthy? No problem! We've got several healthy Salmon recipes that will satisfy without putting on the pounds. 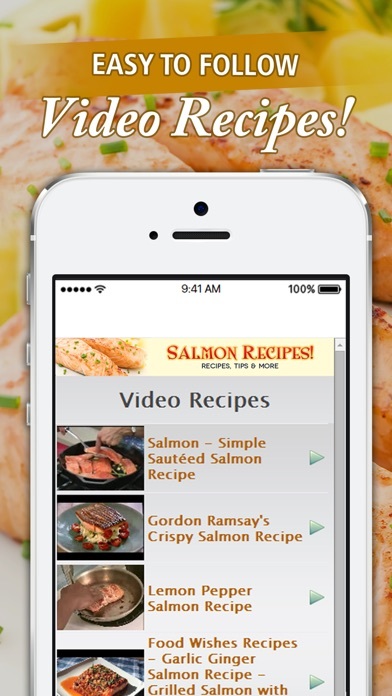 Video recipes will show you exactly what to do, and Daily Recipes will give you brand new Salmon recipes EVERY DAY! Here's just a little taste of what you'll get: - Quick & Easy Recipes - Baked Salmon Recipes - Smoked Salmon Recipes - Grilled & Broiled Salmon Recipes - Poached Salmon Recipes - Salmon Pasta Recipes - Healthy Salmon Recipes - Sauces & Marinades - Video Recipes ...and much more! Looking for something fancy to really impress your family and friends? Our Gourmet recipes are here to the rescue! Salmon is one of the most versatile fish you can cook with. Even people who don't like fish often eat salmon! Some might feel that it is the centerpiece of a perfect meal. With these Salmon recipes in your pocket, you'll never have to feel intimidated to cook this appetizing fish again. New and exciting Salmon recipes are just a quick download away! 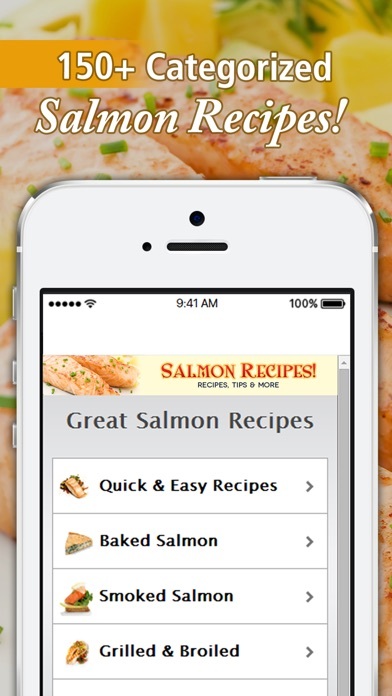 Be sure to grab your copy of this Salmon Recipes app today! Category Ranking Trends for Salmon Recipes! !